The stillborn son of James Phillips was delivered this date, August 2nd, in 1846 and was buried at Bethel Burying Ground. 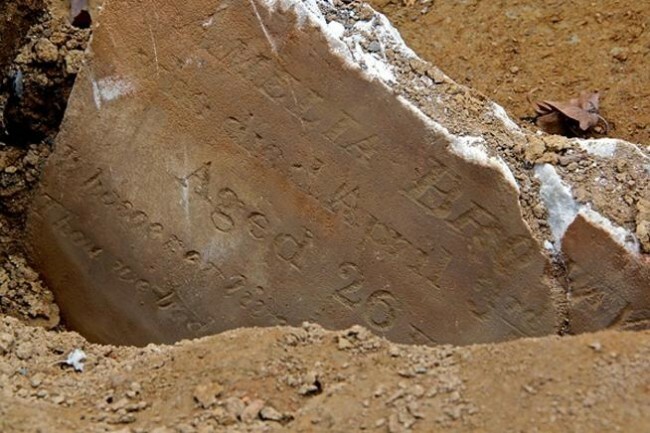 The stillborn son of James Phillips died this date, August 2nd, in 1846 and was buried at Bethel Burying Ground. The name of the mother is unknown to us. There is no mention of James and his family in the 1850 Federal Census within Philadelphia. It was this Census that began recording the names of family members in addition to the male head of the family. The 1847 Philadelphia African American Census records the family as having a child under the age of five years. All the members of the family were born in Pennsylvania. The Phillips’ were extremely poor. Mr. Phillips was a day worker picking up laboring jobs, reportedly earning only $2 a week. Ms. Phillips was unemployed. The 1847 Census reports the family lived in a room the size of a closet (6’x6′) in a tenement on Perry Street for which they paid $.50 a week. The family admitted to owning only $10 in personal property. Unlike most of the individuals buried at Bethel Burying Ground, the Phillips family did not reside nearby. The above map illustrates the almost five miles that the family traveled to bury their son. The family lived on Perry Street, now named Palethorp Street. James Phillips and his family were in a war zone during May of 1844. The so-called “Nativist Riots” saw thousands of Irish Protestants and Catholics take up arms against one another and Perry Street was squarely in the middle of it. Five thousand soldiers were called out to quell the violence that included burning a Catholic church and school to the ground along with numerous homes. Officially, thirteen civilians and two soldiers were killed. Scores, if not hundreds, were injured. Pity the poor African Americans who found themselves facing this ferocious mob. The city did not tally the Black citizens who were killed and injured. The Phillips’ son was interred at Bethel Burying Ground on a clear warm day that followed a day of showers and fog.